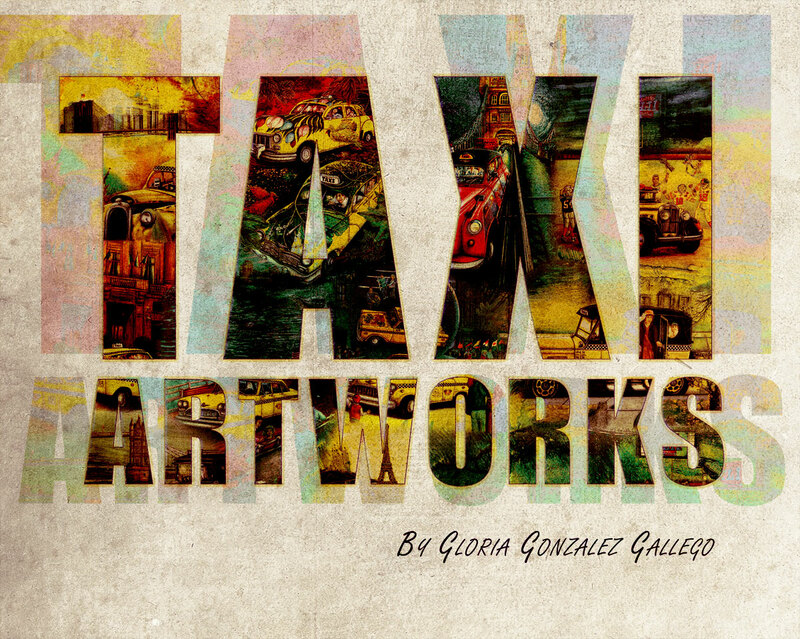 Taxidepot boss Al Gallego commissioned 20 Taxi artworks to Gloria Amparo Gonzalez Gallego in 2008. The Colombian deaf artist despite her international and national success, was very humble and willing to help her uncle with this beautiful vision of "Taxi Nostalgia and Beyond"
The Artwoks of Gloria Gonzalez Gallego are born from the sounds of silence as an internal light that flourishes galloping in a fascinating journey of magic realism. The space is sustained on intimacy in an autonomous universe of picturesque nature to pass in protagonic peace beyond the limits of man emotions. Although her methods and techniques seem to be diverse, they converge with the fine use of lithography mixed techniques that involve the formation of intrinsic textures and shapes, allowing her to expand and experiment with different materials such as dry leaves and earth and oily crayons to ultimately capture her artistic expression.